An interview in its basic form is a conversation between two people with someone asking the questions and the other answering it. Likewise, Radio Interview is a programme format in which a conversation ensues between two or more people with the intent of deriving credible and creditable information from the interviewee on Radio. Radio Interview is a programme format in which a conversation ensues between two or more people with the intent of deriving credible and creditable information from the interviewee on Radio. Interview has proven to be the most viable means of making any discussion on Radio valuable. As a matter of fact, it is the only programme format that has an arm or a leg in the other programme formats. A man on the street conducting Vox Pop, a host(s) and guests in a Discussion or a moderator and panelists in a Talk Show all have to employ a bit of interview to get the most out of their resource persons. Despite having explained the Formats of Radio Shows You Should Know About, I deemed it fit to further explain a bit more about Radio Interviews. This is because a sound knowledge of the technicalities of conducting Radio Interviews helps every OAP. A colleague will even argue that great interviewers make great OAPs by default. Therefore, before we talk about the types of Radio Interviews, it is necessary to understand what makes a great interviewer. There are many interviews aired on Radio, TV even online but there’s always something peculiar to outstanding interviews. There are many interviews aired on Radio, TV even online but there’s always something peculiar to outstanding interviews. As an interviewer, you need to understand at every point of the interview that it is not about you but about your audience. I stated this same point while explaining the Characteristics of an Ideal Radio Producer and the Characteristics of an Ideal Radio Presenter. There is something that makes the listeners look forward to your interview show on Radio. This is when you portray yourself as their mouthpiece when you’re interviewing a celebrity, a politician, a health professional or a Tech Expert just like I do on my Radio Show – Tech Today on Noble 107.1 FM every Sunday. Just remove yourself from the picture and replace that with your audience. What question would they love to ask if they are seeing this person you are interviewing live? Then go into their heart and dig out those questions. This might be dicey when you are conducting a Personality Interview anyway because the sort of questions some people might want to ask might sound too personal and offensive. Nevertheless, it is your job to find a way of refining so as not to sound crude to your interviewee while you also play safe with NTBB. 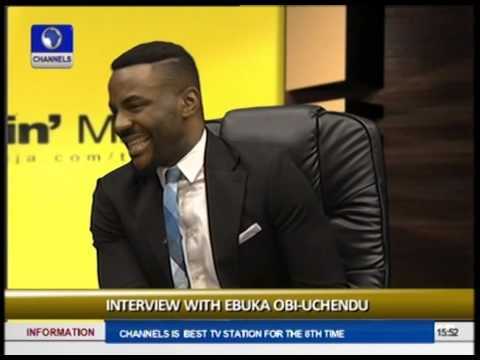 @Ebuka is one interviewer who has been often accused of being too mean with his guests on #RubbinMinds. Meanwhile, he isn’t. He is only applying the approach of asking the sort of questions people would want to ask. Ebuka Obi – Uchendu is one interviewer who has been often accused of being too mean with his guests on Rubbin Minds. Meanwhile, he isn’t. He is only applying the approach of asking the sort of questions people would want to ask if they are actually sitting across some of these celebrities he interviews. Courtesy of this, Rubbin Minds is unarguably one of the most talked about shows in Nigeria even when Ebuka has stopped asking those set of ‘mean questions’ in a while. Meanwhile, this is not peculiar to personality interviews. It applies to all types of interviews. This is an interview with someone who is well known within his/her environment. It is a detailed interview exposing a personality’s profile beyond what is known already. Personality Interview is an interview with someone who is well known within his/her environment. It is a detailed interview exposing a personality’s profile beyond what is known already. These personalities are usually people who have excelled in their career, business or other endeavor and have a success story or achievement to tell. This ranges from an elder statesman who is almost resigning from active politics to an artiste who just got a BET award to a smart kid who won Cowbellpedia or a housemate who just got kicked out of the Big Brother house. Personality Interviews are the most common types of interviews on Radio and TV today. It is sometimes to aggregate on the persona of the interviewee to influence the program. Yes, because a celebrity appearing on a show or a new Radio station will probably want to tweet about it prior to the interview and that’s PR for the Radio station. In fact, Personality Interview is one of the springboards employed by Sensei Uche and his colleagues at Hot FM Lagos to push the station to prominence. In fact, Personality Interview is one of the springboards employed by @SenseiUche and his colleagues at @hotfm_lagos to push the station to prominence. This exposes the public to the situation behind a news event or topic of discussion. Information interview is the backbone of other formats of Radio shows including Talk Show, Discussion, Vox Pop etc. Unlike Personality Interview, Informational Interview is not interested in the life of the interviewee as a personality. It is more interested in the interviewee as a resource person whose opinion, idea, professional advice, eyewitness account is being sought. Informational Interview gets the interviewee to answer the basic What, Who, Where, When, and How questions. Investigative Interview is used to uncover the facts surrounding a particular event. It is a fact finding sort of interview where the investigative interviewer is expected to interrogate (mind that word though) people who are connected to the story. This is primarily useful during documentary or fact-checking. Investigative Interview is used more by Investigative reporters, a shortage of which we are having on Radio nowadays anyway. It is a complex topic to discuss itself. 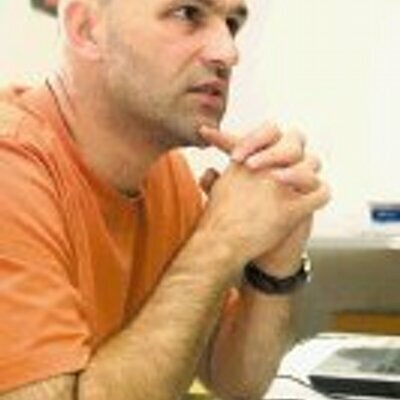 Meanwhile, renowned Croatian Investigative Journalist Sasa Lekovic wrote a piece in 2004 titled ‘What is Investigative Reporting’ and I find it relevant till date. You might want to check it out too. Also, I once stumbled upon a post on HuffPost about Investigative Journalism in Nigeria titled; Life or Death: Investigative Reporting in Nigeria written by American-Nigerian journalist Chika Oduah where she painted the picture of investigative journalism in Nigeria. The point is there is a lot of debate on Investigative Journalism in Nigeria but more concerned I am about investigative journalism on Radio. It’s dying, all thanks to the moribund state of documentaries and the prominence of yellow journalism on Radio. How wonderful is it gonna be if we have someone like Anas Arimeyaw Anas on Radio. We’ve not had someone like that after Gbenga Adeboye and Kola Olawuyi of late memory. Why can’t we have Radio copies of Musikilu Mojeed and Dayo Aiyetan doing real time investigative work on Radio? Alawode Ibraheem is a young chap who was the Runner Up at Africa Fact-Checking Award for the Student Category last year. He works with Premium Times Centre for Investigative Journalism but young broadcast journalists of today only want to discuss Wizkid’s Baby Mama, Davido’s Chioma and Bobrisky’s whatever on Radio. Adversarial Interview is antagonistic by design. This is the sort of interview to adopt in order to put an interviewee on the hot seat. The interviewer must however be careful so as not to be seen as an opponent of the interviewee. He must also drift with caution in order not to come off as being rude. Adversarial Interview is antagonistic by design. This is the sort of interview to adopt in order to put an interviewee on the hot seat. I for one also think that the interviewer should inform the interviewee of the sort of interview methodology he’s employing so that the interviewee comes fully prepared for the heated discussion that might stem out of the interview. Respected Indian TV Journo and co-founder of Republic TV, Arnab Goswami is famous for Adversarial Interviews. A panel discussion is a regular type of informational interview but involves the interviewer and more than one interviewee. The essence of having more than an interviewee is too have a more in-depth, profound and robust discussion with diverse point of view of the subject of discussion. Radio Interview is always interesting. However, its success depends largely on the interviewer. The interviewer must be prepared and have an organized set of questions in excess outlined before the interview. Adequate research is always the basis of a worthwhile interview. Every interview requires current and relevant research both on the interviewee and on the topic of discussion if any. Radio Interview is always interesting. However, its success depends largely on the interviewer. The interviewer must be prepared and have an organized set of questions. Having a good understand of the interviewee will help you determine the approach you should adopt. Getting your interviewee relaxed and starting off with some fire-round question is a nice way to get your interview started. Be fair and observant. Using a notepad is also advised in order to note follow up questions. You can also ask for clarification if your interviewer drops a bogus answer. Of course, as with other shows, when your conversation with the interviewee drifts away from the subject of discussion, always find a way to come back to point. Be calm and focused. So there you go! Get the journey started with amazing interviews. If you find this tutorial worthy, you can share with friends and don’t forget to Follow Us on Facebook, Instagram and Twitter so as to stay connected for more tutorials.